Make your skin healthy, glowing, and smooth and ever youth now with the use of unique and 100% organic compounds by Shea Life. Shea life is one of the oldest and well-known remedies for different skin problems that work efficiently without creating any side effects. 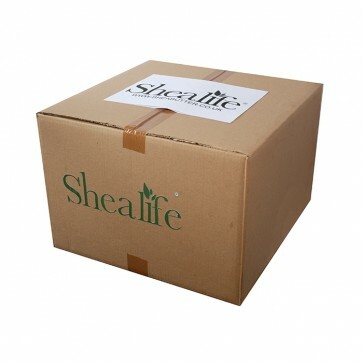 Shea Life100% Organic Refined Shea Butter, Trade, 5Kg is a perfect solution that works efficiently on different skin kinds. The main ingredient Shea butter oil gets absorbed deeply into the skin and hence offers you perfect moisturizing regardless to the fact that in which season you are using it. This product by Shea life comes up with a very affordable price tag. It is one stop solution for dry, sensitive, rough, and baby skin and softens the tough skin of your hands, feet, and elbows as well. You now don’t need to worry about your stretch marks, Eczema, Psoriasis, and damaged skin as well. Shea Life100% Organic Refined Shea Butter, TRADE, 5Kg is composed of 100% organic and refined Shea butter, i.e., Butyrospermum Parkii along with useful vitamins, and minerals as well that work efficiently on the damaged skin and helps it out in quick healing.